Cook on low for 2 hours or until heated through, stirring about every 20 or 30 minutes. 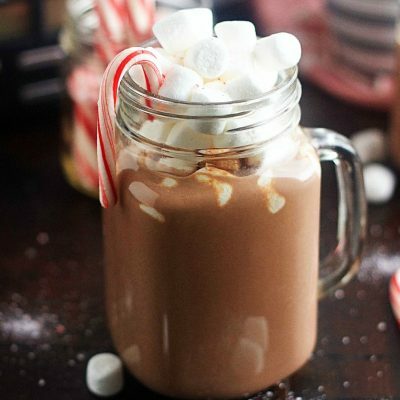 Serve with whipped cream, marshmallows, or more crushed peppermint candy (or all three!). This can also be done on your stove top by combining all ingredients in a large saucepan and whisk until combined. Heat over medium-low heat, stirring occasionally until heated through (don't let boil).